Morning Constitutional: Why is Michigan Favored Over Ohio State? Today’s Topic: Why is Michigan Favored Over Ohio State? On Tuesday, online sportsbook BetOnline.ag released their first college football lines for the season’s biggest games. It’s a way to generate some betting ($500 limits) and interest during the offseason, and there was plenty of interest when Michigan opened as a 6.5-point favorite over Ohio State. Obviously, Buckeyes fans weren’t buying it, and they took to Twitter, Facebook, the workplace, church, and message boards to make their confusion and disbelief known. 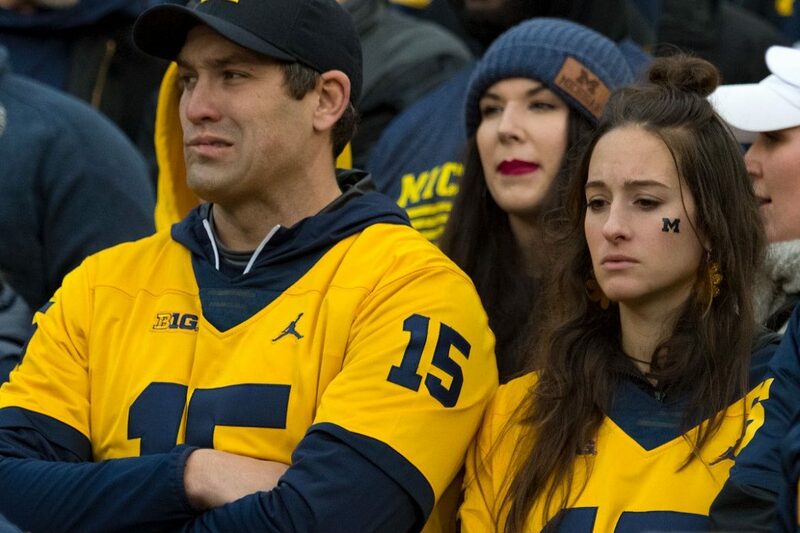 Heck, even some Michigan fans were rolling their eyes at the thought of being favored, just as they were last season. I had a couple of people ask me how Michigan could possibly be favored based on the 62-39 game last year. They also cited the complete and militant ownership that Ohio State currently possesses over the Wolverines. There are reasons for Michigan to be favored, however, and they’re not insignificant. For one, the game is in Ann Arbor, and home-field advantage is real, even if it doesn’t look like it all the time. There is also the tiny fact that Urban Meyer is no longer coaching Ohio State. Meyer has always dominated his rivals. He did it at Bowling Green, he did it at Utah, he did it at Florida, and he definitely domesticated the Wolverines in his seven seasons at OSU. Confidence is high in Ryan Day, but he’s not 7-0 against Michigan. Dwayne Haskins is also gone. The best passing quarterback in Ohio State history is now off to the NFL and the Buckeyes will now turn to a guy who has never been turned to. Those three factors alone — location, no more Urban Meyer, and no more Dwayne Haskins — are enough to make the Wolverines a favorite. 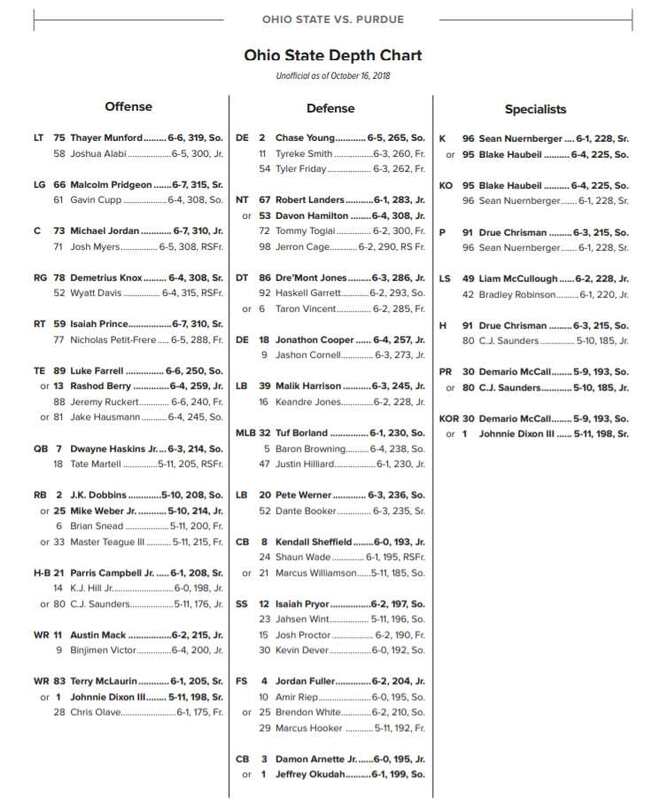 Sure, Michigan loses some talented defensive players (and coaches), but defensive coordinator Don Brown returns and he’s replaced starters before. Yes, that same Don Brown. Also the same Don Brown whose defense held OSU to 350 total yards in 207 and 330 in 2016. Michigan head coach Jim Harbaugh has also brought in a new offensive coordinator and has promised to open up the offense. No more wasted snaps with a fullback and two tight ends on the field. Meanwhile, the Ohio State defense is a bit of a mystery right now. You know those players that Buckeye fans like to complain about? They’re probably going to start this year as well. And can the OSU running game bounce back? Probably? There is also the fact that Michigan plays Indiana the week before The Game and Ohio State plays Penn State. So yeah, there are plenty of reasons for the Wolverines to be favored against the Buckeyes. Of course, there are also plenty of reasons why that opening line has already been bet down to -4.5 by people putting their money on Ohio State, but we can save those reasons for another day. Don Brown, the most overrated name in college football. He’s so good no one will hire him to be a head coach. Actually, I think Jim Harbaugh is the most overrated coach in college football. While the SEC and, more recently, the ACC has protected their best teams for the postseason by allowing them to schedule cupcakes before rivalry games, the Big Ten seems to try to sabotage OSU, maybe in an effort to bring “balance” to the league. In 2016, the league had the Buckeyes play at Wisconsin and at Penn State on consecutive weeks with each of those teams having a bye week to prepare. Then OSU played at Michigan State the week before the Michigan game. Meanwhile Alabama squared off against Chattanooga before the Auburn game. The structure of Urban’s program remains, and OSU has significantly better athletes (see recruiting rankings over the past four years) across the 85-man roster than Michigan. For Michigan to win the OSU coaching staff is going to have to fail miserably, and that’s hard to imagine with the coaches Day has brought (along with those who remain) to the program. Like Woody said, you win with people. We must be desperate for things to talk about when it comes to OSU Fb. Let’s enjoy the NCAA tourney as perhaps OSU BB is due for a run instead of worrying about something that happens when the weather turns cold again. There was already an article on the betting line…for a game EIGHT months away. scUM was installed as a favorite to generate bets, period. Can we just stipulate to the reasons the line has been bet down, rather than “saving them for another day”? Please?